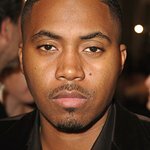 Rapper NAS and reggae star Damian ‘Junior Gong’ Marley have teamed up to record “Distant Relative” – a collaborative album due for release in June (09). And the dynamic duo will be donating all proceeds from this upcoming album to help build a school in the Congo. “We’re trying to have a sound that’s reminiscent of both of us, but not exactly like either,” Marley told Rolling Stone. Both artists were motivated to pay tribute to their cultural roots, so we can certainly expect music with flair coming from Bob Marley’s son and NAS. “A lot of charity albums come off corny. We want this to be something you’d play in your car,” said Marley.